"On 25 February 2019, the Australian Government announced the Climate Solutions Package, including a new measure to improve fuel quality standards to ensure access to the latest vehicles, savings for motorists from more fuel-efficient vehicles and health benefits to the community," said a government spokesperson. "The improvements include reducing sulphur levels in petrol from 150 parts per million down to 10 parts per million from 2027 and a lower pool average for aromatics content in petrol from 42 per cent down to 35 per cent from 2022." Car companies have warned that new car buyers will ultimately pay the price of poor quality fuel by having fewer cars to choose from. As well, Australia’s high sulphur content petrol will continue to negatively impact the environment – potentially until 2027. The issue is the relatively high content of sulphur in 91 and 95 RON petrol products, which is currently rated at up to 50 parts per million (ppm). The majority of the world, including Mexico, China, Europe, the United States and even New Zealand, uses petrol with a sulphur content of 10ppm. As emissions regulations tighten up around the world, cleaner-burning fuel allows car companies to install pollution gear like petrol particulate filters to reduce the number of toxins leaching into the atmosphere. High sulphur counts, however, means that these technologies aren’t able to be installed on cars destined for Australia – which means that Aussie consumers are set to lose access to a wide range of high-tech engines. Different car brands are affected to different degrees; Mazda, for example, says that the current standards don’t affect what nameplates it can offer locally, but that better quality fuel “would always be welcome,” according to a spokesperson. READ MORE Fuel tax or road use tax - which do you prefer? Ford, meanwhile, benefits from the move by authorities to ratify the use of 10ppm diesel, with the company pointing to the introduction of the twin-turbo 2.0-litre diesel engine in the Ranger/Everest line as an example. Mercedes-Benz and BMW are unaffected, according to local representatives, but Audi is keeping a watching brief moving forward. Most vocal, though, is Volkswagen, which has already lost several nameplates and variants, and stands to lose more going forward. “Huge parts of the globe are at 10 parts per million and we don't seem to be even at the point of having a path to get to 10ppm, which is the big issue,” says Volkswagen Group Australia product marketing manager Jeff Shafer (below). 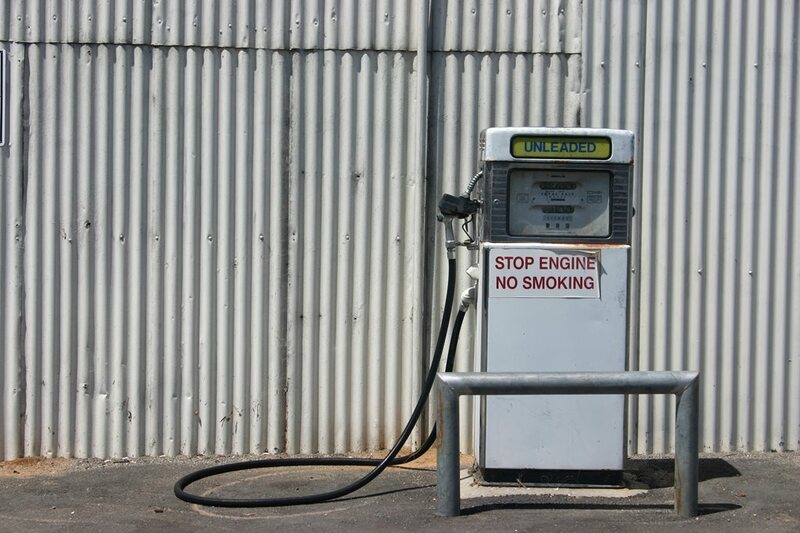 Australia’s current fuel standards were set back in 2001, and are set to expire this November. However, the federal government’s Department of Environment and Energy website says that the government will commit to 10ppm fuel in 2027. "On 25 February 2019, the Australian Government announced the Climate Solutions Package, including a new measure to improve fuel quality standards to ensure access to the latest vehicles, savings for motorists from more fuel-efficient vehicles and health benefits to the community," said a spokesperson. Shafer explains that the main issue is around the use of petrol particulate filters (PPFs), which work by trapping particles in a mesh, before burning them off at high temperature at regular intervals. High sulphur-content petrol has the capability to significantly reduce the lifespan of these filters, which means the company needs to rely on engines that aren’t fitted with PPFs. “Any time that we find Australia has differences in standards or differences in our markets to the rest of the world, it's just another hurdle to bring in product,” Shafer says. “The risk is that we get engines that are less technologically advanced. That we have a smaller choice of engines we can offer our customers. And, potentially even a higher cost of the engines we do get if they have to be specifically tuned or developed for our marketplace. READ MORE Will WLTP put an end to fantasy fuel figures? Shafer points to the health benefits of better quality fuel as an advantage, despite a potential increase in prices at the pump. Shafer says that VW is looking at building a PPF that can cope with dirtier fuel, but points out that cost to reverse-engineer a solution is an expensive process, and will add to the bottom line of a car’s price. "I definitely know that our engineers back in Wolfsburg are working very hard to see if they can develop and design and engineer to a poorer standard appeal quality. But again, any time that you have to develop something specifically for a different condition it's more cost, it's more time, more money," he says. The Federal Chamber of Automotive Industry (FCAI) backs Volkswagen’s claims. “The FCAI does indeed back 10 ppm sulphur across all grades of petrol, like diesel, which already has 10ppm and we have been keen participants in the Government’s review of fuel standards,” says chief executive Tony Weber. “From an automotive industry perspective, the major international manufacturers make considerable investments in designing and developing vehicles to meet CO2 targets and air pollutant emission standards, all based on an expectation of appropriate fuel quality in markets." Weber also says that adopting Euro 6 emission standards – the current benchmark around the world – won’t be realised until better quality fuel is widely available. “The last thing we want is for Australian consumers to miss out on these new, more efficient and more environmentally friendly vehicles," Weber says.